After several years of being in business, creating the most stunning interior spaces for clients on Sydney's northern beaches, Amazema Interiors was in search of a brand refresh. 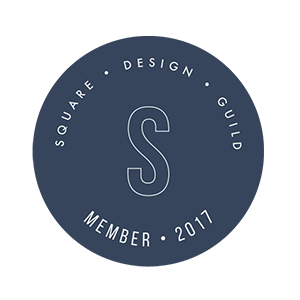 I worked with Amy to redo their entire brand, as well as move their web presence from Wordpress onto Squarespace. The brand refresh included a move to a more muted color palette (from what was a bright yellow and black previosuly), while maintaining the modern and fresh feel that Amazema is so well known for. In essence it steps aside to support and profile the gorgeous photography of Amazema's interior work. The logo of choice was drew inspiration from the structure of the letter ‘A’ and ‘I’. I created a unique geometric logo that brings together the two elements and forms a connecting shape, symbolic off modern architecture and minimalist design. Amazema Interior's new website was built on the Squarespace platfrom. The aim of the site was to really let the gorgeous interiors work do the talking. With big imagery, modern typography and design elements, the new site is as fresh as the cool breeze that comes off Sydney's beaches. I also worked with Amy and her team on their client onboarding processes and systems. We mapped out the business' client experience processes and then used a combination of automated systems and technology solutions to increase efficiency within their workflows and daily operations. Tracey is a total gem! We have loved working with her on our branding refresh and new website, so much so we decided to keep her for a bit longer to help implement more magic in our business. Efficient, creative and effective on all levels. Clear processes and simple ways to communicate allowed us to work together even with great distance and time zones involved. Highly recommended to anyone needing an update or starting from scratch, just jump in you won't regret it!